to get a bunch of mommas out going crahzay. I started this post when I had just arrived home from Nashville where I attended the Blissdom blogging conference… I am finishing this post a few days later when I have had time to catch back up with life. PS: I use the word “attended” loosely since this was the first, and what I fear may be the last, chance I had to take a nap, get a manicure, and get a massage while the sun is out for at least the next eighteen years. This is what happens when four bloggy mommas pack into a VW, drive 85 m.p.h. down a highway for four hours, and cram themselves into a hotel room for three nights and four days. 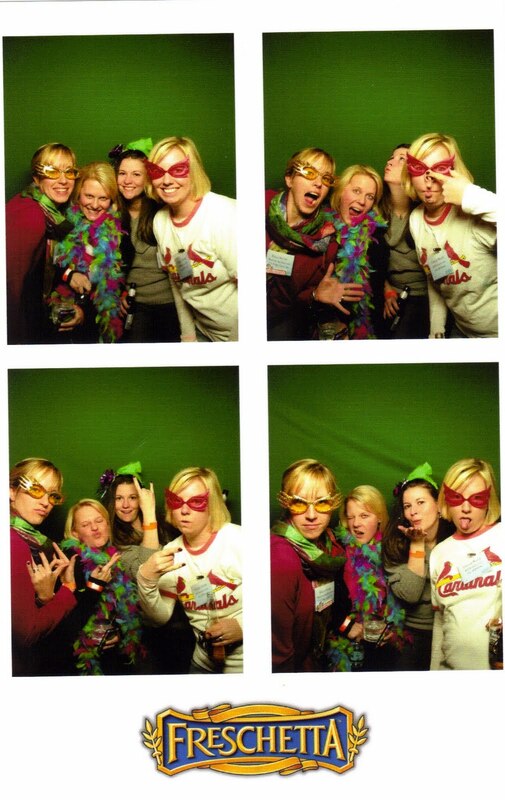 So what did I learn during my trip to Nashvegas for Blissdom? 2) Two free drink tickets per blogger makes for a bunch of really cheap dates. I also had a blast hearing all of the creative content ideas from Mrs. Flinger, Amy Turn Sharp, and Jim from the Busy Dad Blog during the one writing session I was able to attend (and not just because, they pulled out the super-meme slide of awesomeness replete with rainbows, ninjas, and unicorns). Next stop, hopefully Type A Parent in Asehville. Or dare I hope to afford the ticket price for BlogHer? With all the two free booze tickets every night, and me being a super cheap date, it totally pays for its self. I definitely recommend going! I am so glad I made it there… although my liver was a little angry with me, but it had to get over it eventually. I am thrilled to hear you had such a good time!! Well, some things must remain secret 🙂 I really did have a blast! You guys were awesome roomies! I just want to offer one important point of clarification. Lisa was going 95. I was watching the odometer the entire time as I white knuckled the door handle because I wanted to know exactly how my obituary would read. She probably didn’t notice how fast she was driving because she was holding the GPS in front of her eyes the entire time. I think that drive took about 20 years off my life. OMG, back seat driving in now officially getting all Hannah up in this biznitch after that drive. I am cracking up! Yes. I’m glad certain things stayed in Nashvegas. Dude, seriously, we made it there and back in one piece and we didn’t kill each other because of your speedy transporting skills. There is something to be said for that, ya know. Yeah, Nick was overjoyed to hear that someone else has felt his pain and had to endure me barking orders from the back seat for five hours. In hindsight I did appreciate the speediness. It was just easier to take on the way down as I was sippin on some red headed sluts out of my pink leather monogrammed flask. yes, the pic you took of cha cha & i turned out great. thank you! your post was so fun to read. 4 in a VW…oh my! but sometimes that kind of stuff is what makes road trips more memorable. brene brown was AWESOME! i’m think i’ve thought about her opening session everyday since i returned from blissdom. from forgetting her spanxs, to who would move a body & everything inbetween. wished we could of visited more.